- These have 18" helical flutes and 12" positive radial rake. 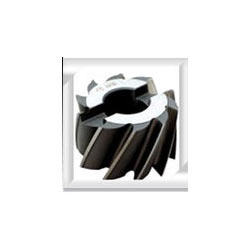 - Shell end mills are used for vertical milling machines stub arbors. A Cutter with teeth on Periphery and one end provided with a back face key slot drive for use on an arbor. These are used for end and face milling operation either in horizontal or in vertical milling machine. Safe from damage by rough conditions, offered Shell End MillS is best in quality and easy to obtain from us in many sizes and rust free form. Compact frame having this mill is light in weight and favored by precious consumers due to quick and hassle free installation in various devices. We apply genuine price for this end mill. 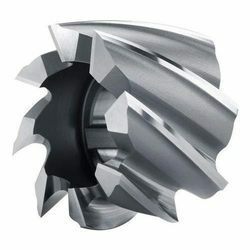 We introduce our business as a noteworthy organization of qualitative array of Shell End Mill cutter.